The strike follows another attack by the coalition in the Syrian region, which occurred a week ago, reportedly killing 62 people and injuring dozens of others. The US-led coalition conducted an airstrike in the village of Al-Sousse, situated in the eastern suburb of Deir Ez-Zor, killing at least 5 civilians, including two children, Syrian news agency SANA reported Sunday. Earlier this month, the Syrian Foreign Ministry accused the US-Led coalition of violating international law and killing civilians in a letter to the United Nations, saying that the US is not fighting terrorism in the country. The statement followed a series of airstrikes on the town of Hajin, which, according to SANA, included the use of the prohibited white phosphorus. 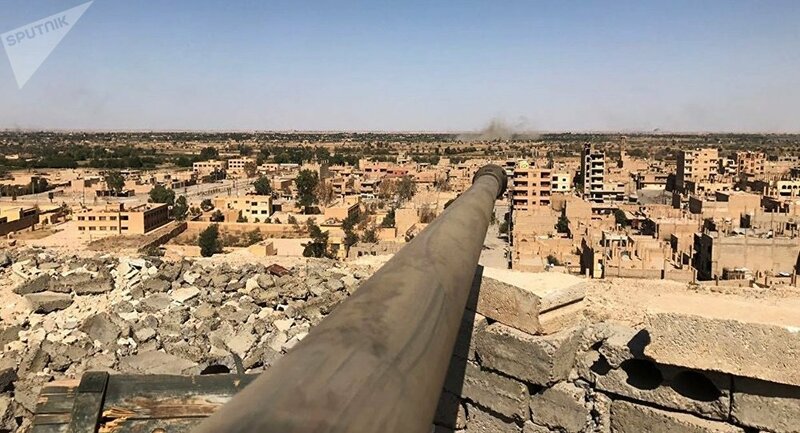 While commenting on the attacks, the coalition denied the use of prohibited substances, adding that no civilians had died as a result of the operation, as the coalition was targeting Daesh* terrorists in the region. The US-led coalition has been operating in Syria against terrorists since 2014 without receiving any authorization by either the UN or the Syrian government.